The markets ended the week in the positive. 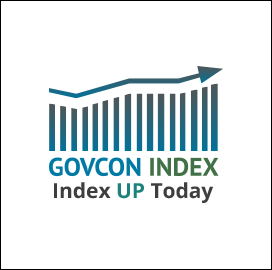 The Executive Mosaic GovCon Index (GCI) flirted with breaking 98.00 closing up 0.450 percent to 97.971 reaching new highs with advancers outpacing decliners 3 to 1. WTI crude oil closed positive for the fifth consecutive day. WTI on the NY Mercantile Exchange moved up settling at $46.61 per barrel up 1.15 percent on estimates that global demand is increasing faster then supply.